Hanukkah, the Jewish festival of lights, is celebrated every year on the 25th of the month of Kislev in the Jewish calendar and commemorates the victory of the Jews over the Greek occupation (2nd century BC) and the subsequent purification and renewal of the Temple. 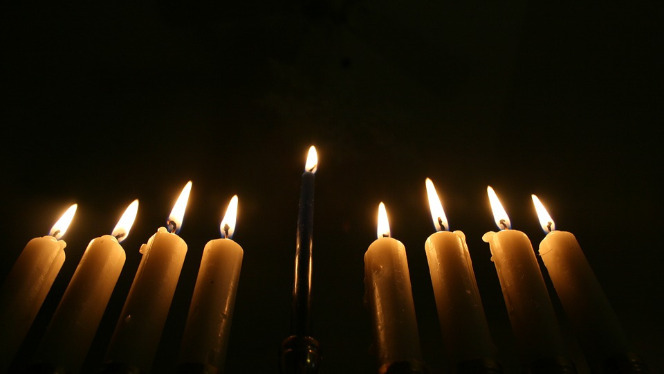 On December 20th, everybody is invited to participate in the public lighting of the Hanukkah candles. The event will start at 6 pm in the Plaça del Vi and will consist of a presentation of the festival and its importance within the Jewish tradition. Then, the authorities and other groups will carry out the lighting of the candles. There will be a performance and a sufganiyot tasting, a traditional sweet cake.